: : these will be the last Sweden summer pics for now. .iz. and .farmor. [grandma] relaxing by the sauna. the sunset from our bedroom. Your pictures make me miss the semester I spent in Sweden last year! YUM! 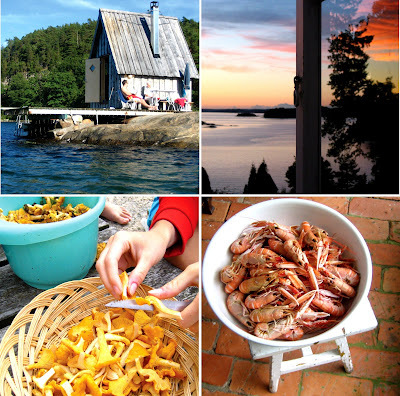 I had no idea there were crayfish in Sweden!